Ancestral Deeds provides Genealogy, Family History, Biographical & Literary Research services and more to connect you with your past. Traditional Family Trees and Tailored Relationship Charts – customised orders are welcome. Mediæval, Tudor and Stuart Era Research; Theatre History and Document Deciphering from the Mediæval Era to the Present Day. Transcription of Early English and Scottish Documents; Transcription and Translation of Mediæval French and Latin; Genealogy and Family History, Theatre History, Local History, Biographical and Literary Research; Digital Photography of Documents, Gravestones, and Historic/Ancestral Locations; Family Tree Charting. Include the National Archives at Kew, London Metropolitan Archives, the Guildhall Library, City of Westminster Archives Centre, London Family History Centre, the British Library, the Society of Genealogists’ Library, Lambeth Archives, Lambeth Palace Library, Camden Local Studies and Archives Centre, Hackney Archives, Greenwich Heritage Centre, and the National Portrait Gallery. (Non-fiction) Author in the fields of Literary & Theatre History, and Family & Local History, including “‘This Castle Hath A Pleasant Seat’: The Shakespearean Subtext to The Castle of Otranto” (article, English Studies in Canada, 1988); Coriolanus at the National: “Th’Interpretation of the Time” (book, Associated University Presses, 1990 — this work cited in multiple editions of the play and related works since its publication); “‘On Both Sides More Respect’: A Very British Coriolanus” (commissioned chapter for the book Coriolanus: Critical Essays, Garland Press, 1994); “Patrick Brontë’s Lost Landlords” (article, Brontë Studies, Vol. 33, March 2008); Eltham Through Time (book, Amberley Publishing, November 2013); Woolwich Through Time (book, Amberley Publishing, February 2014); Secret Southwark and Blackfriars (book, Amberley Publishing, February 2019). Occasional contributor to Who Do You Think You Are Magazine U.K., answering Reader Questions since 2014, and Family Tree Magazine U.K. in 2019. 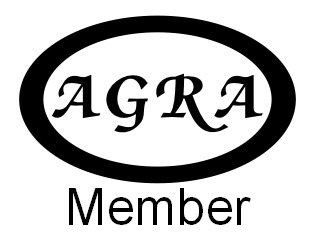 Delegate for The National Archives’ User Advisory Group 2014 – 2019, representing Mediæval Research. Descendants of Edward Richard Wright. Let Ancestral Deeds help you to connect with your past.